In a major innovation in Africa’s capital markets, supranational trade finance bank African Export-Import Bank (Afreximbank), an investment grade rated multilateral financial institution, is opening its shareholding to the investing public through the issuance of Depositary Receipts. 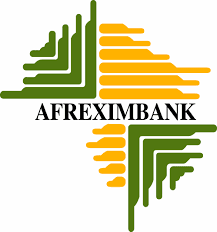 In a deal being arranged by SBM Group, a leader in the financial sector in Mauritius, and announced today in Mauritius, Afreximbank is launching a $300 million equity offering, using Depositary Receipts backed by its Class “D” shares. The Depositary Receipts, whose listing has been approved on the Stock Exchange of Mauritius, subject to raising the funds by the end of September, mark the fruition of a unique initiative on which Afreximbank and SBM Group have worked in the last few months and represent a big first for Africa’s equity capital markets. This represents the first time a supranational bank is issuing Depositary Receipts through an African stock exchange. For Afreximbank, the rationale for the Depositary Receipts issuance is the need to enhance its capitalization in order to significantly narrow the trade financing gap in Africa, currently estimated at $120 billion annually, and to meet its strategic objective of growing intra-African trade in all regions of the continent, including island economies. The Depositary Receipts issuance represents an opportunity for Afreximbank to diversify its shareholder base by enabling investors in Africa and beyond, who have not yet invested in the Bank, to do so and to strengthen Africa’s premier trade finance institution, whose interventions in its various member countries have created acknowledged developmental impacts across the continent, he said. In addition, the Depositary Receipts would enable Afreximbank to increase its permanent source of capital while giving investors a liquid instrument which will have strong portfolio diversification effects, added Dr. Oramah. Being a novel issuance in Africa, Afreximbank’s Depositary Receipts are expected to further deepen Africa’s equity capital markets, paving the way for similar issuances by other multilaterals. Afreximbank’s shareholders are a four-tier mix of public and private entities, with Class “A”, constituted of African states, African central banks and African public institutions; Class “B”, made up of African financial institutions and African private investors; Class “C”, with shares held by non-African investors, mostly international banks and export credit agencies; and Class “D”, under which fully paid shares can be held by any investor.